I've been sewing up a storm this summer making curtains and cushions in order to prepare my classroom for the coming year. I found myself with extra fabric, so I turned to Pinterest for some ideas of what to do with it. 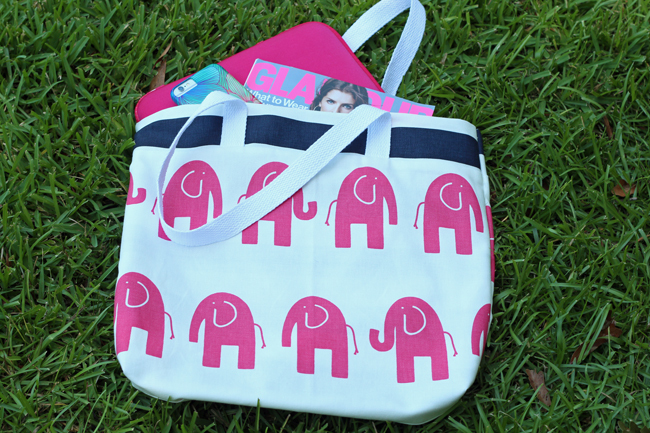 When I saw this super-simple tote bag tutorial on The Inspired Wren, I knew I was on to a winner. I followed the instructions word for word for my first bag, and had it all finished in under two hours. It was super cute, but much smaller than I had anticipated. 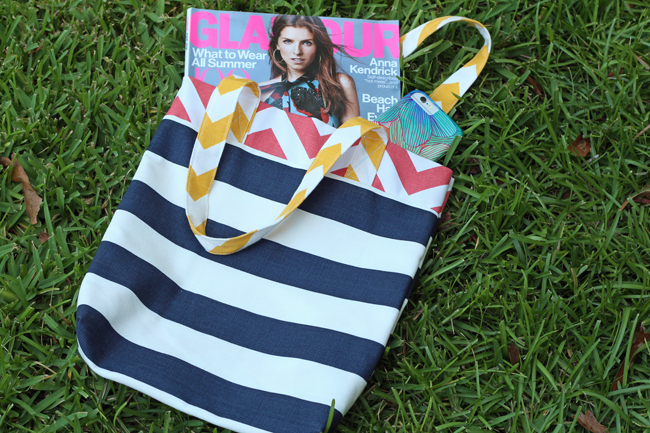 It will easily hold a few magazines and your phone, so would be a good bag to take to the coffee shop or beach. I was hoping for something a bit bigger that I could use as a school bag, so I scaled it up some for my second go (I added 4" to all the dimensions given in the tutorial). I also used cotton webbing I purchased from Hobby Lobby for the handles since I wasn't happy with the colors I had to work with. Size-wise it's just about perfect! The bigger bag will easily fit my computer and several notebooks or binders, plus a water bottle (and more!). 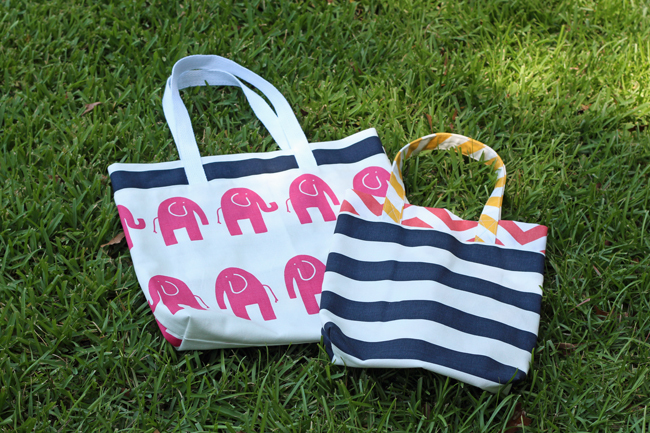 That elephant bag is the best! !